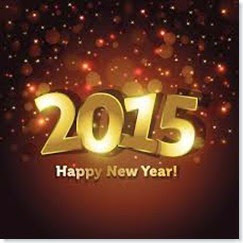 Fidelis Journey to Life: 2015 Happy New year OR Crappy new year? 2015 Happy New year OR Crappy new year? · 1020 Rhino Poached in 2014, compared to 333 in 2010. Despite Millions thus far spent on charity organizations the number of rhinos poached tripled in 4 years. Not a Happy New Year ahead for them. · Half the world still lives in poverty. · Nearly 1 Billion people suffer from “chronic undernourishment “ aka hunger. · 80% of the world population lives on less than $10 a day. · An average of 3.5million people experienced homelessness in the U.S., despite the fact that there are enough empty housing for them all. The tradition of wishing somebody a happy new year has many complications, sure we can want for other to have a good year, or maybe you are glad that you made it through another year, but for me a happy new year will be finding ways make the statistics above less. How great would it be if humanity was able to completely eradicate poverty? Bring the amount of hungry people down to zero? Or even have the rhino poaching at a big round zero for a whole year? We certainly have the capacity and resources to do so. For example to put every child in the world through education all we need is 1% of the military budget of the U.S. We have the means to do so. The Living Income Guaranteed will also be a solution for all the problems above. If it’s implemented it will bring the number of people in poverty down to zero. Money will no longer be a factor for whether or not a child gets an education . People will also have enough to actually live and buy the food they need. There will also be no more homeless people, because they would be able to afford a home. That would make a truly Happy New Year.